« Festival Fashun With Call It Spring! As if the plethora of anecdotes and pictures from last weekend’s Coachella festivities weren’t enough to send us into a tizzy, Vanessa Hudgen’s infamous stomping grounds kicks off it’s second weekend today – once again sending us into fits wishing that we, too, could be frolicking in the desert with large flowers/the entire Outkast discography blaring in the background. However, since we’re not at Coachella (and are instead in our beds, weeping at the fact that we won’t get to hear any music in festival-type settings until TURF), we decided to make y’all a c00l and tr3ndy DIY! Enter monochromatic + embellished shortz: In 5 very *simple* and very *fun* steps, you’ll have something to cover your bum in the most *unique* and *fun* way ever. Take notes, Vanessa Hudgens! 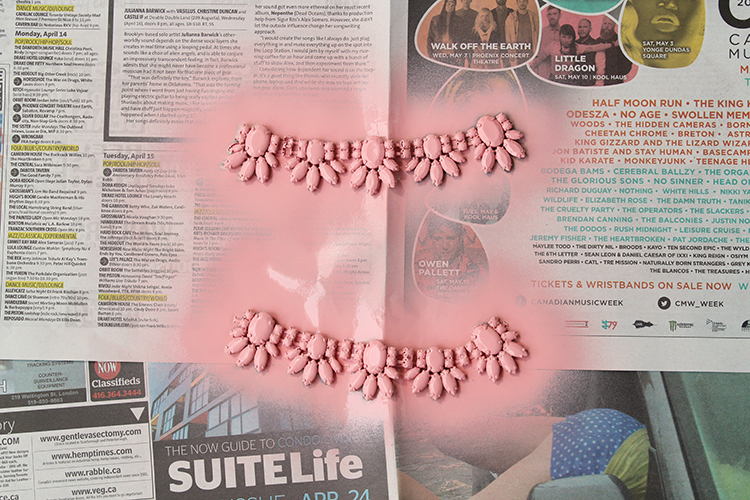 Put down newspaper to protect the surface of wherever you’re spray painting. Lay your shorts down flat. 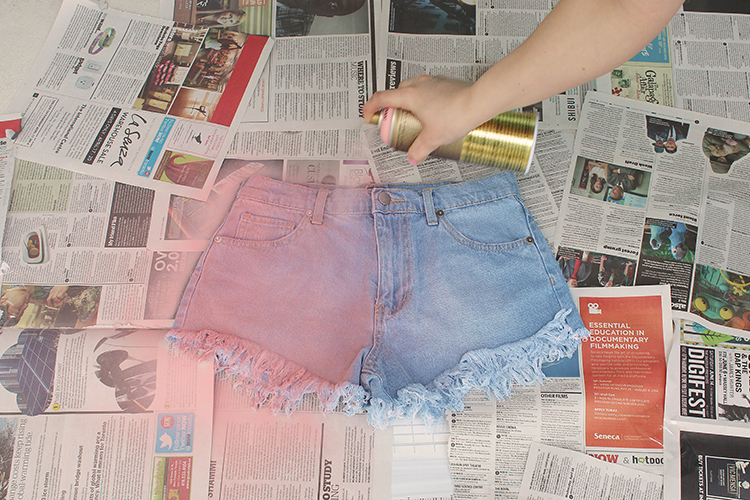 Apply spray paint to the surface of your shorts – as many coats as necessary until the colour appears opaque. Flip the shorts over and repeat process on the back. *Tip* Wait in between each application, as denim is porous and will absorb the spray paint! Once you’ve completely covered your shorts in spray paint, prepare your embellishments (we used two of the same necklace from Forever 21. 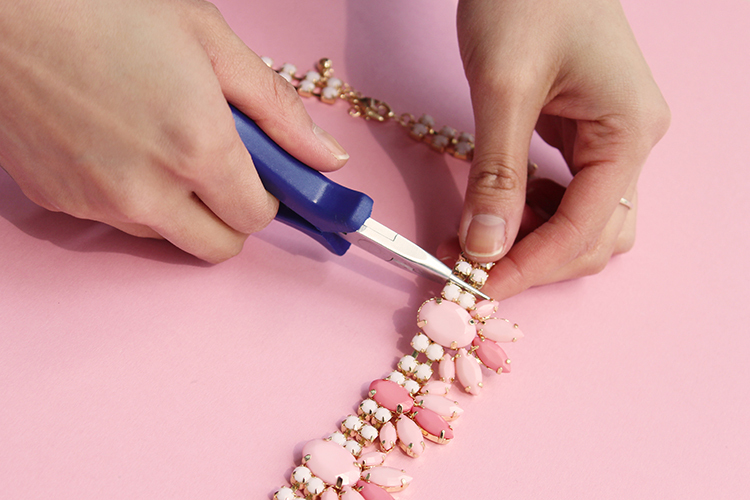 Measure the length of the pocket, and use pliers to cut your necklaces accordingly. Cover both pieces in the same colour spray paint. Wait for them to dry. 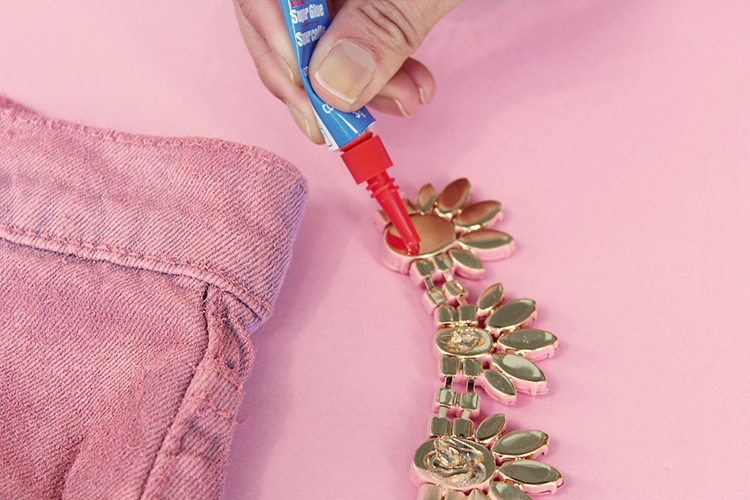 Apply strong super glue to the back of each jewelry piece, and hold firmly onto denim – underneath the pockets. Forever 21’s ~Forever Festival~ collection is now available in-stores and online. 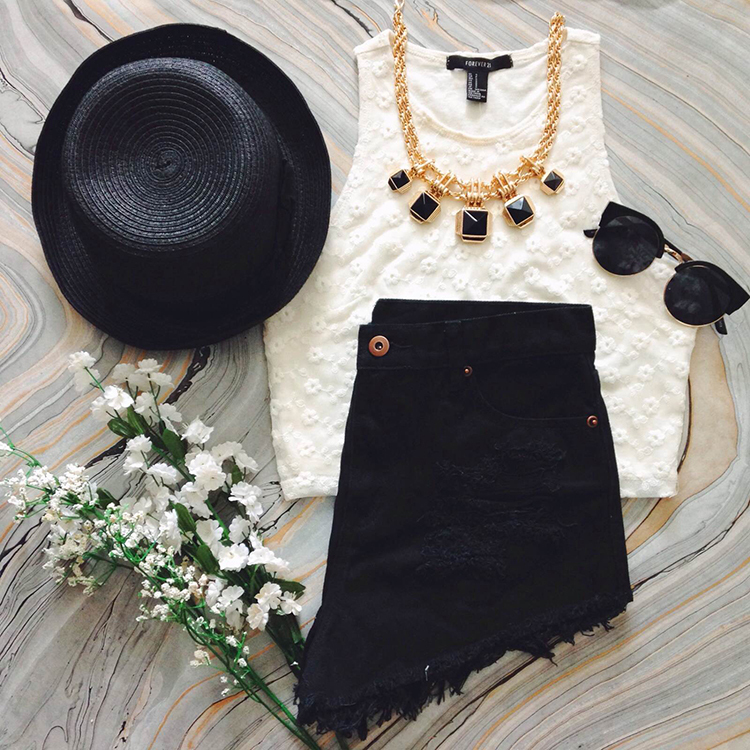 If you’re lucky enough to be at Coachella right now, tag YR ~festival fashion~ with #ForeverFest and #F21xme! By admin on April 18, 2014 at 8:00 am | Posted in collaborations, DIY and tagged #F21xme, #ForeverFest, blog, canada, coachella, denim shorts, diy, festival, festival fashion, forever 21, monochrome, style, toronto. 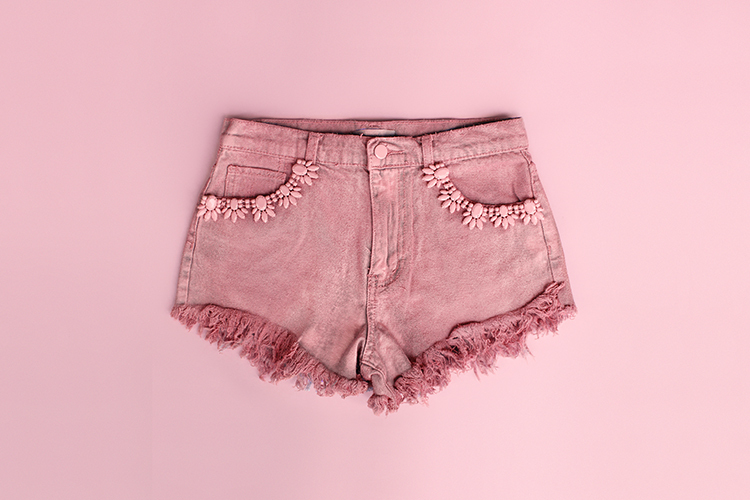 I’m in love with this DIY, the shorts is wonderful !